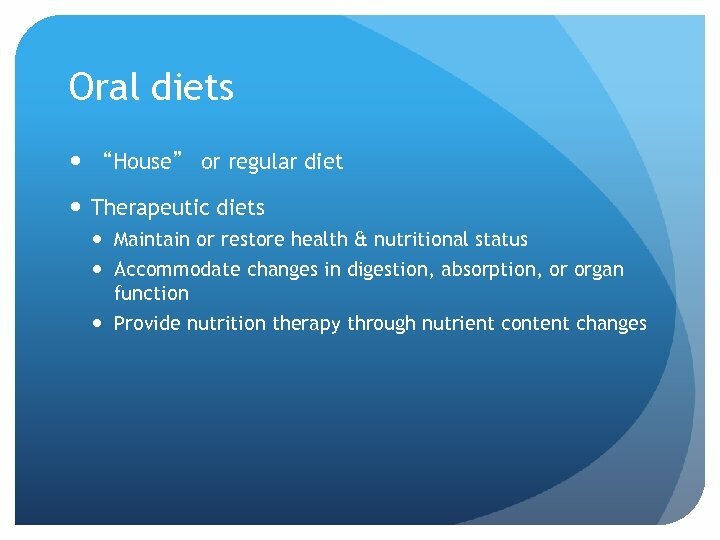 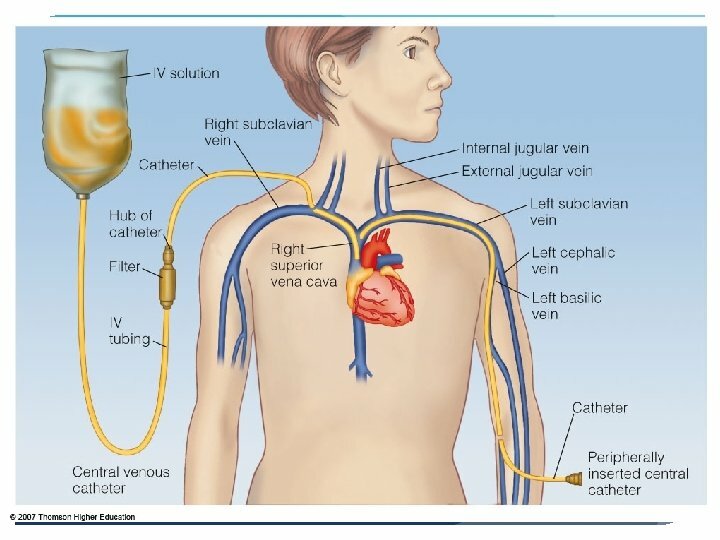 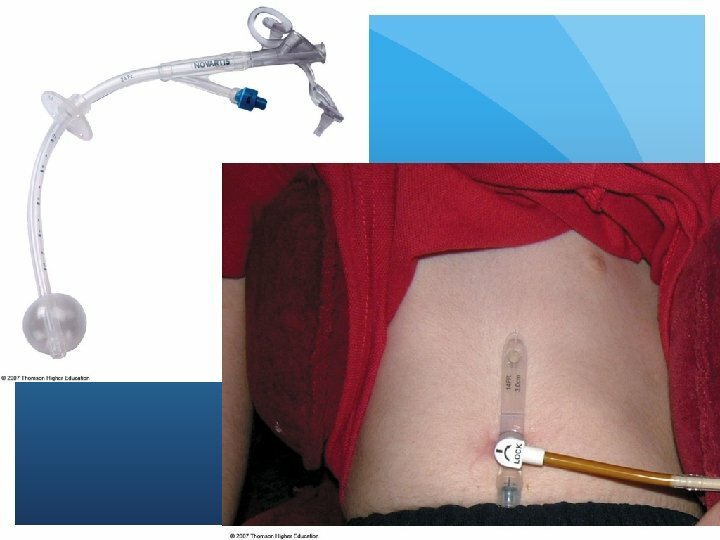 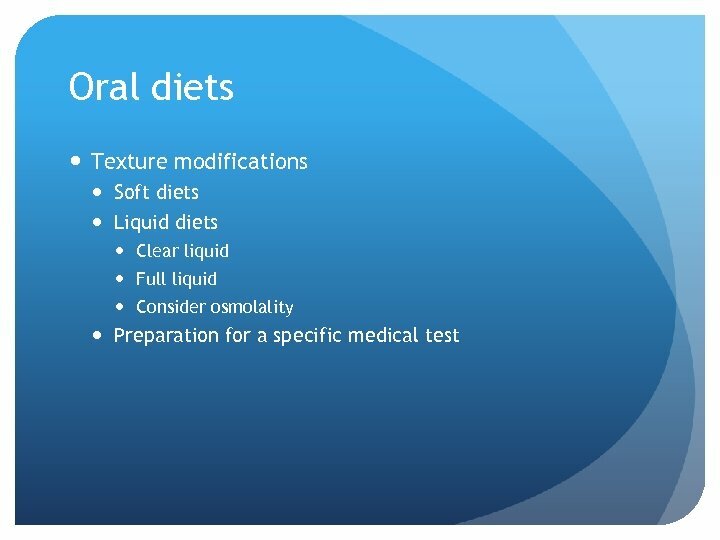 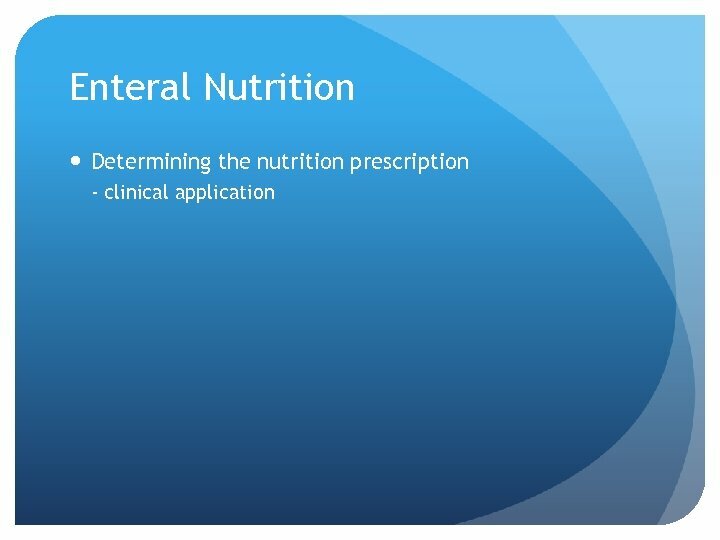 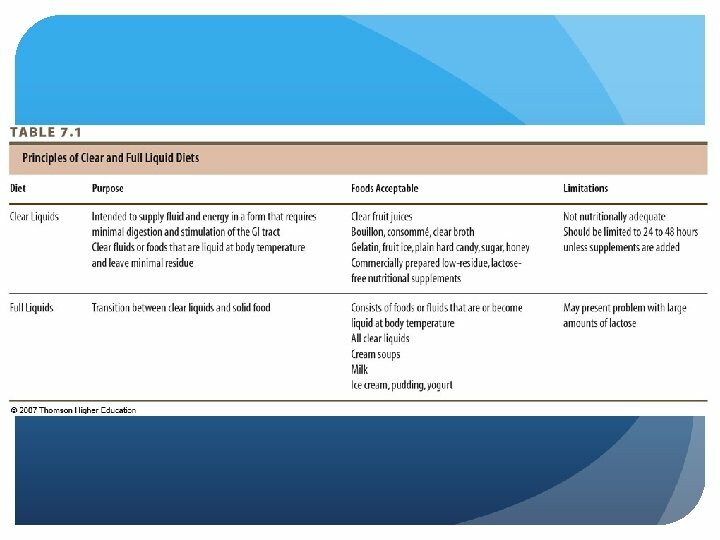 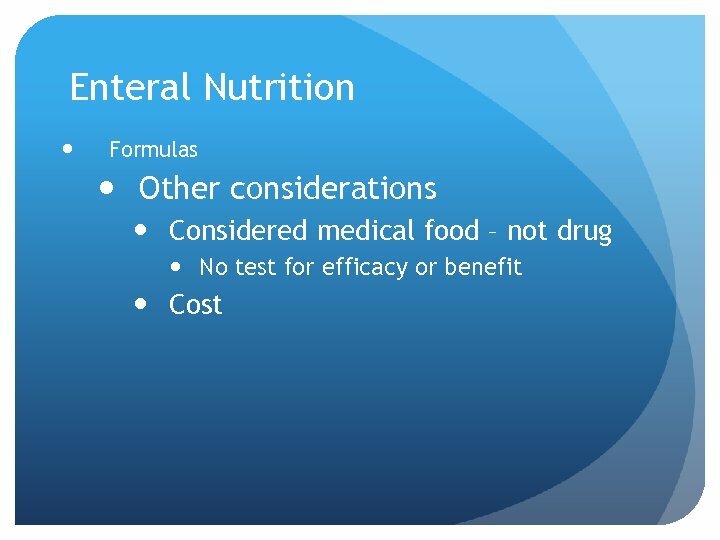 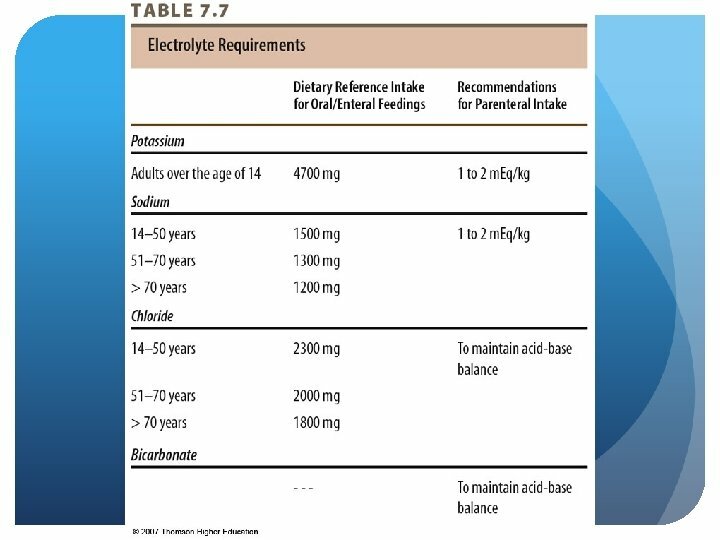 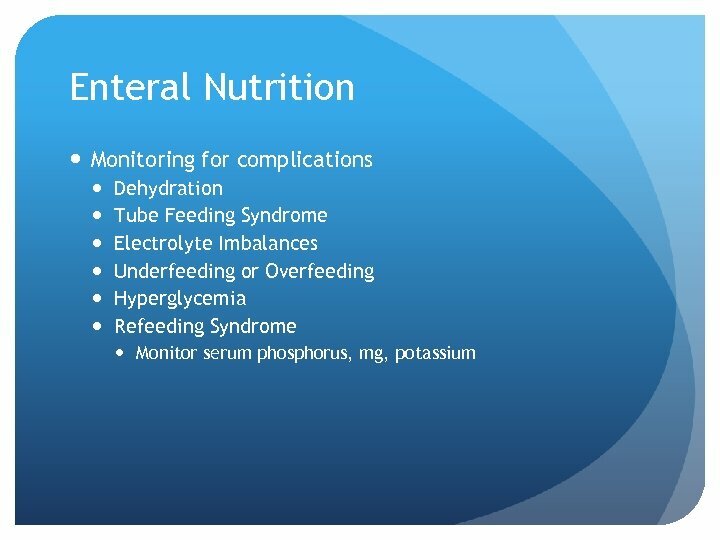 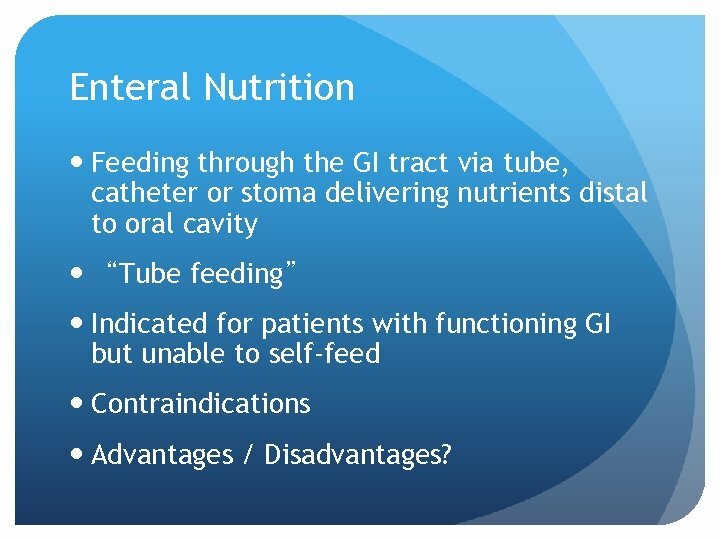 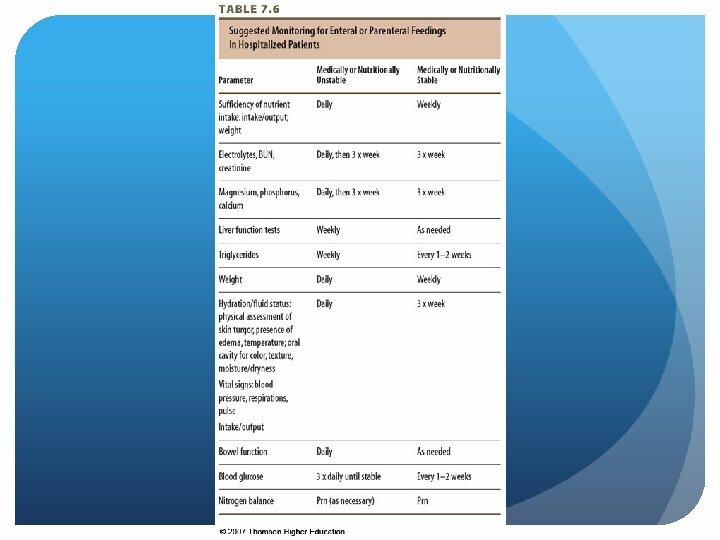 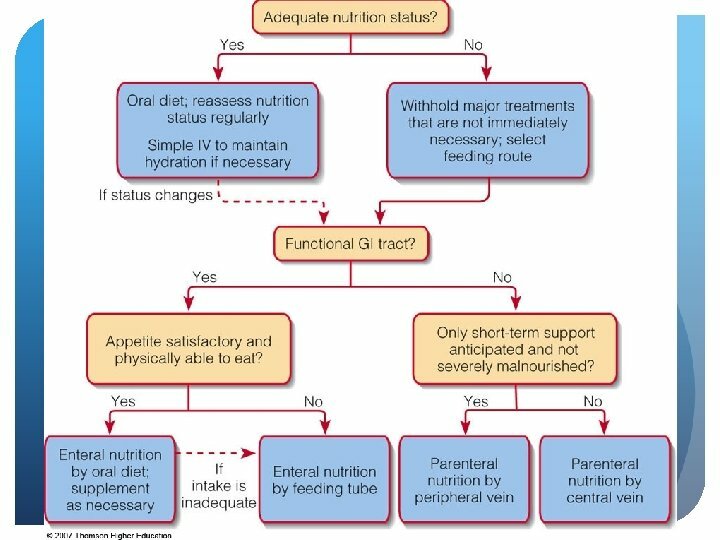 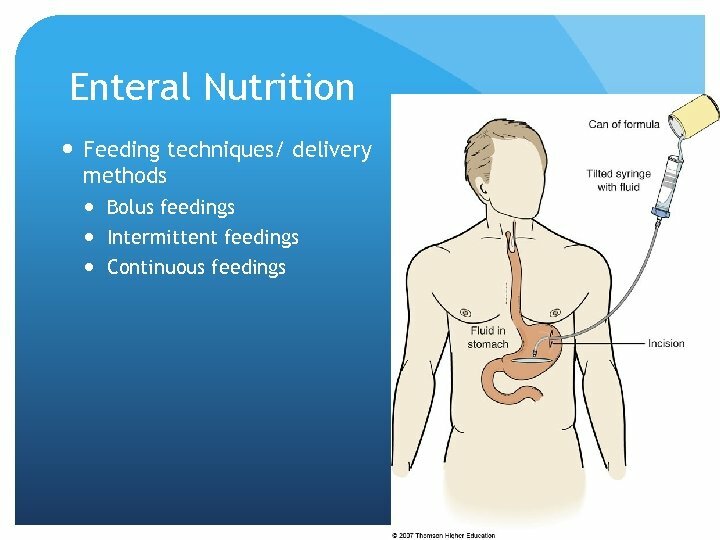 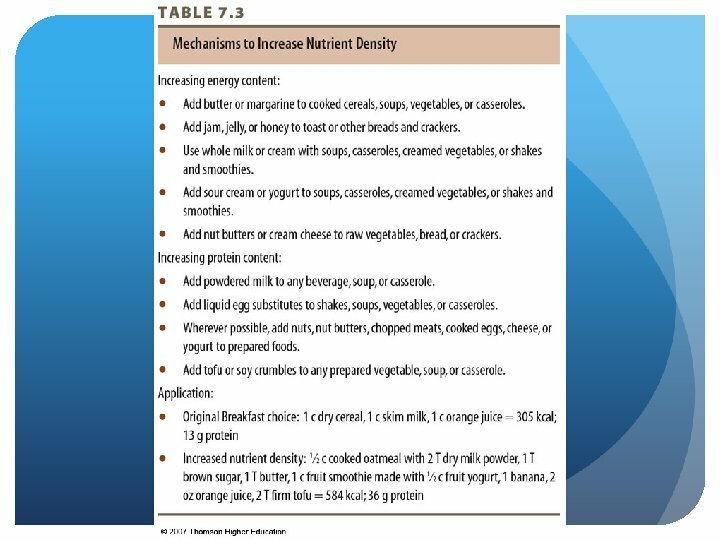 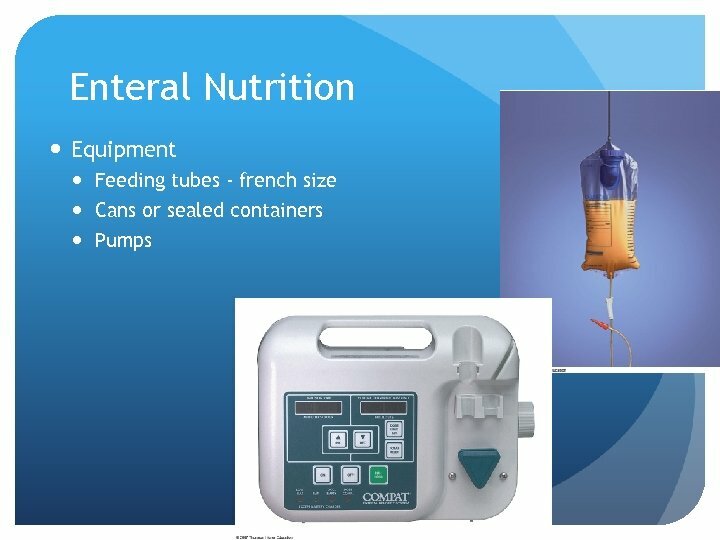 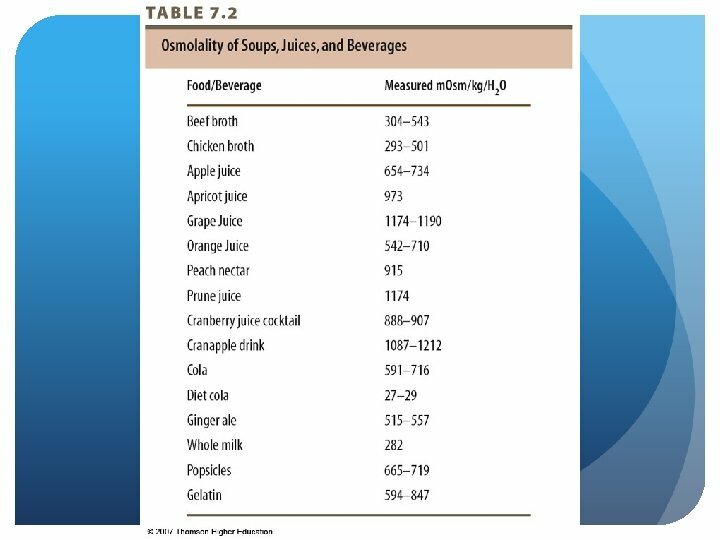 Enteral Nutrition Feeding through the GI tract via tube, catheter or stoma delivering nutrients distal to oral cavity “Tube feeding” Indicated for patients with functioning GI but unable to self-feed Contraindications Advantages / Disadvantages? 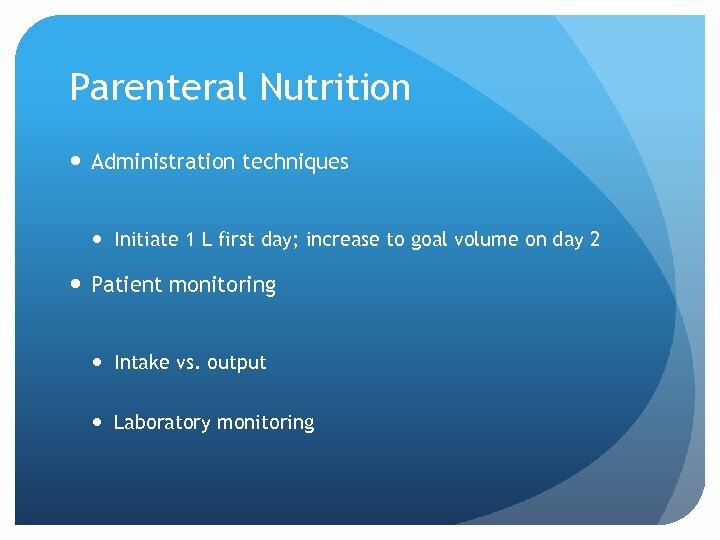 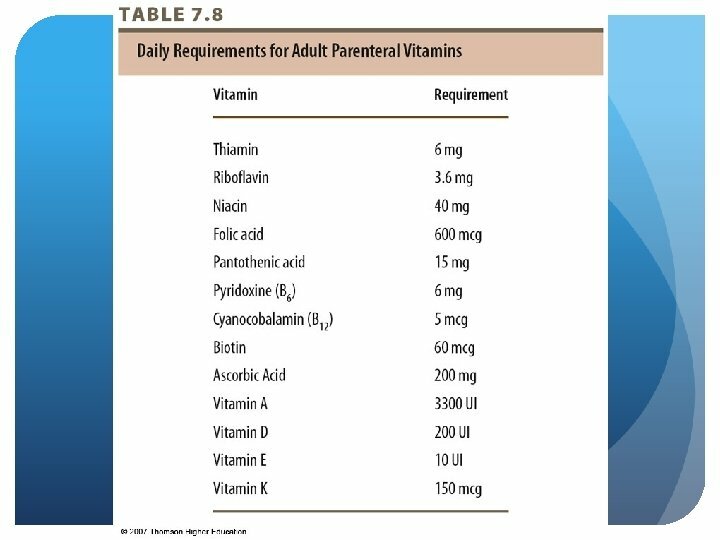 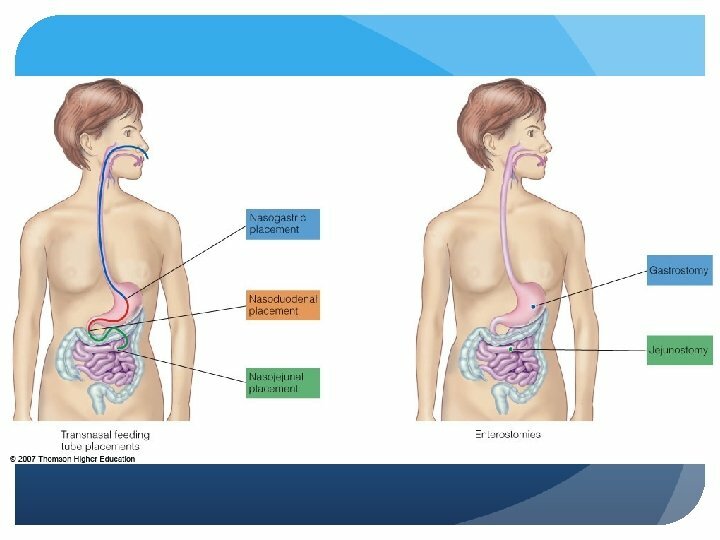 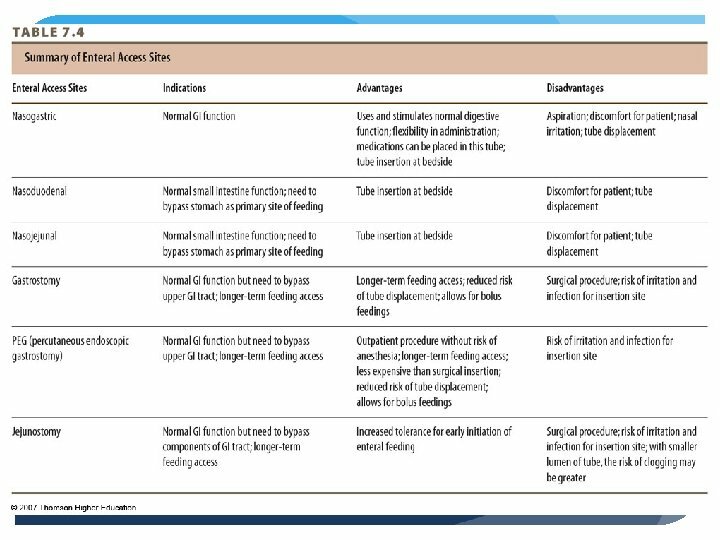 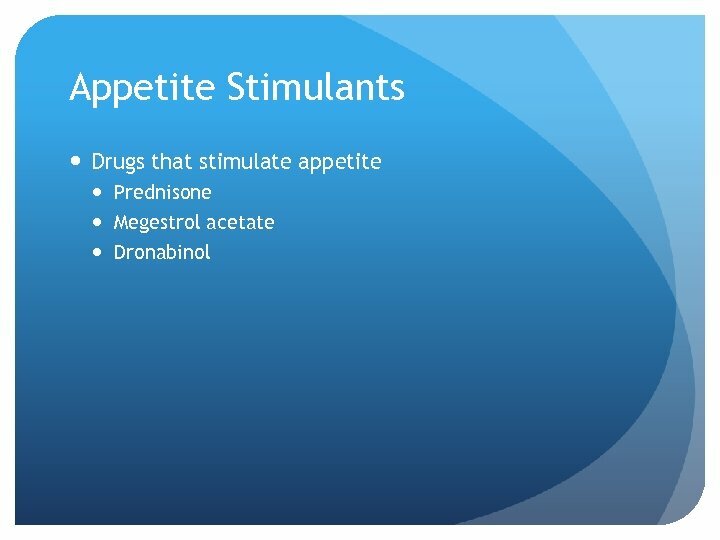 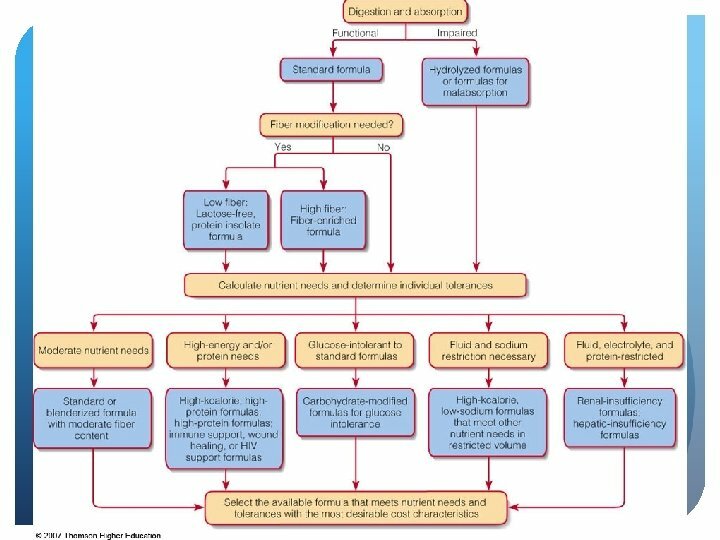 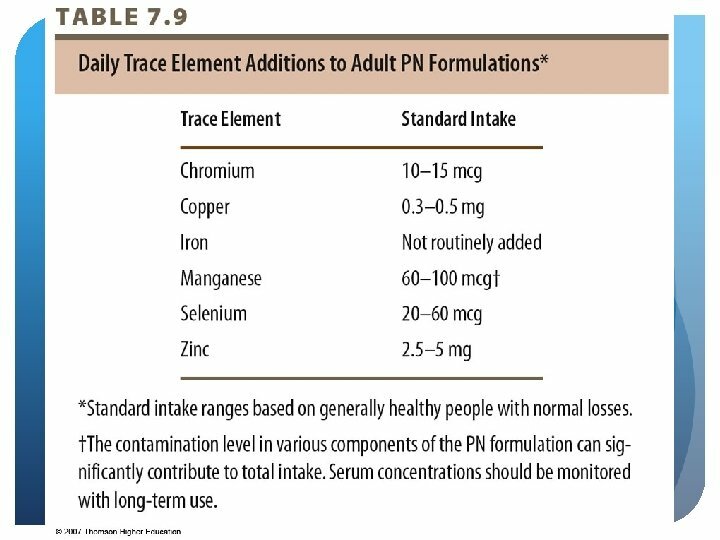 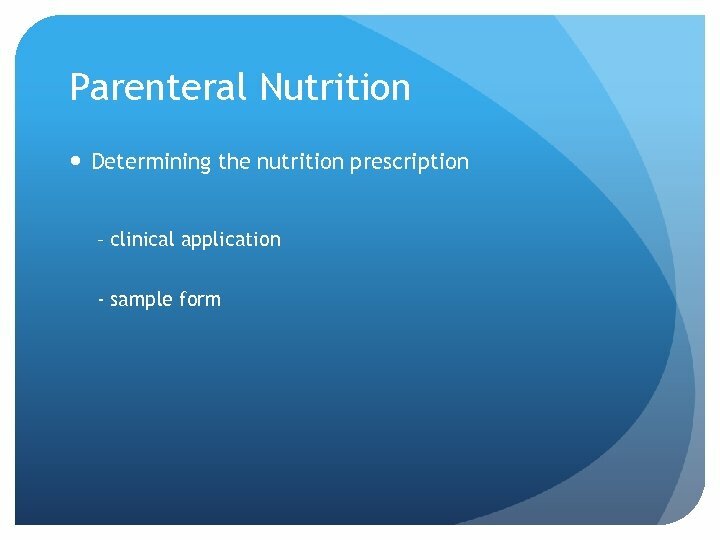 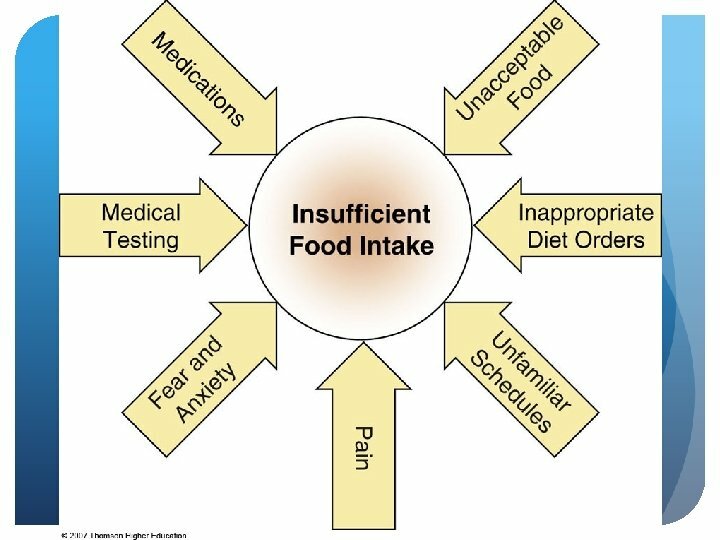 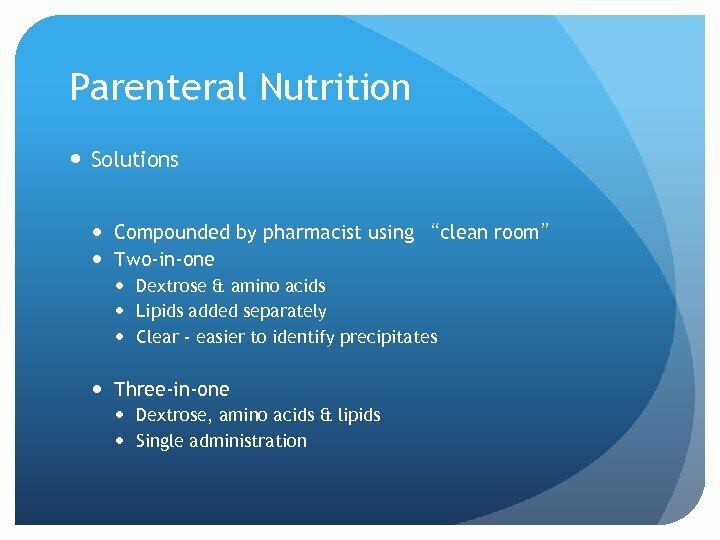 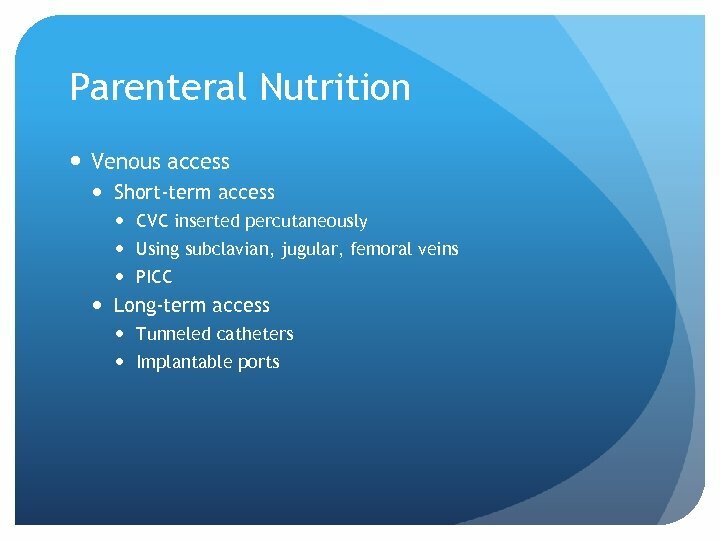 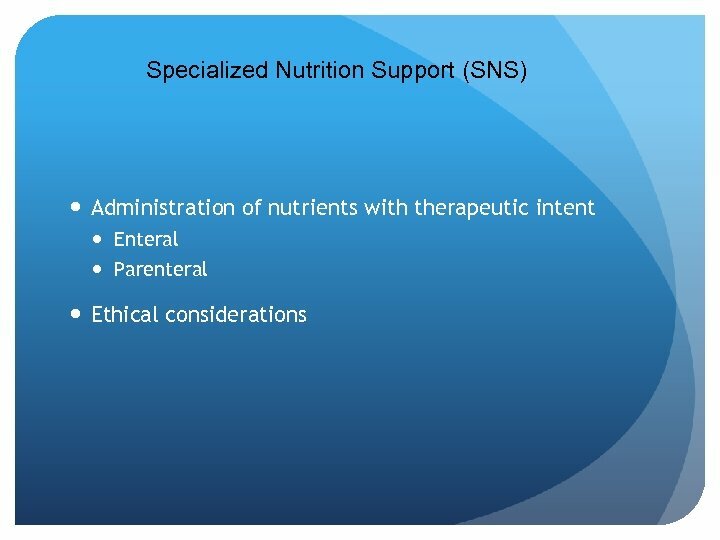 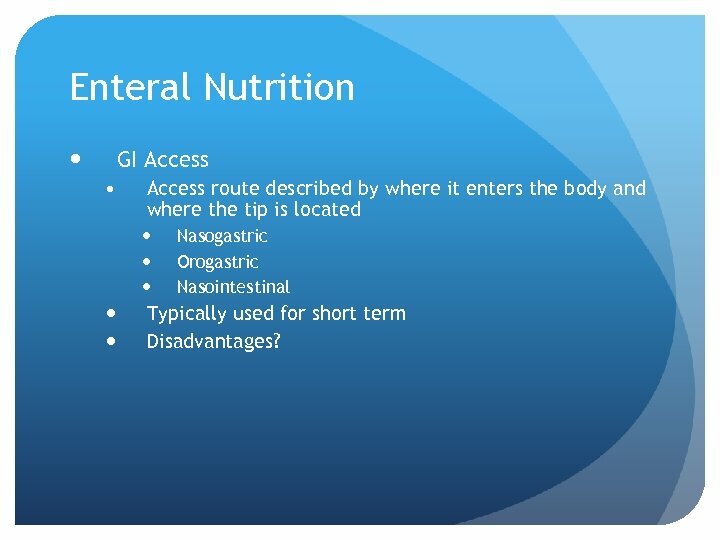 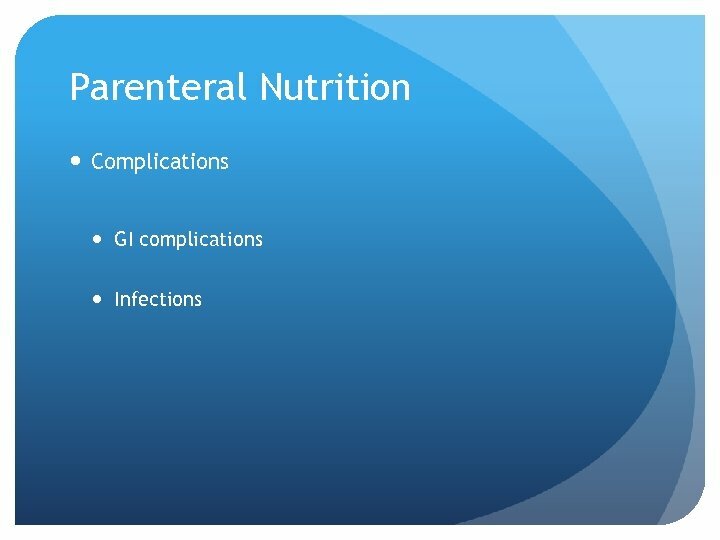 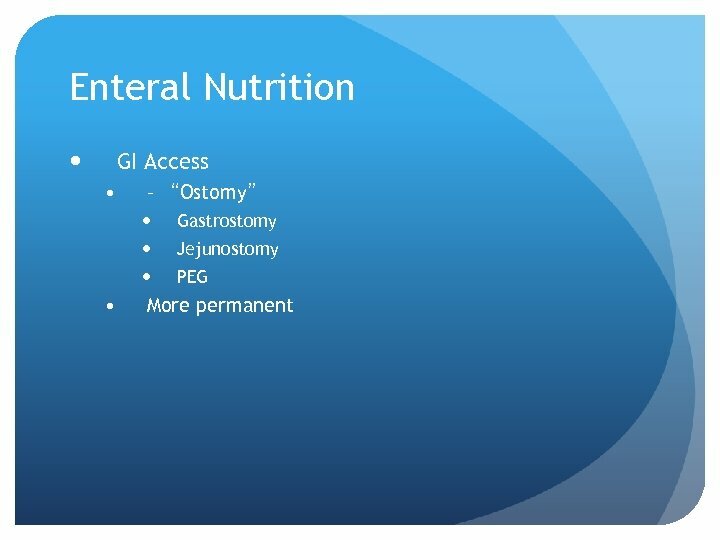 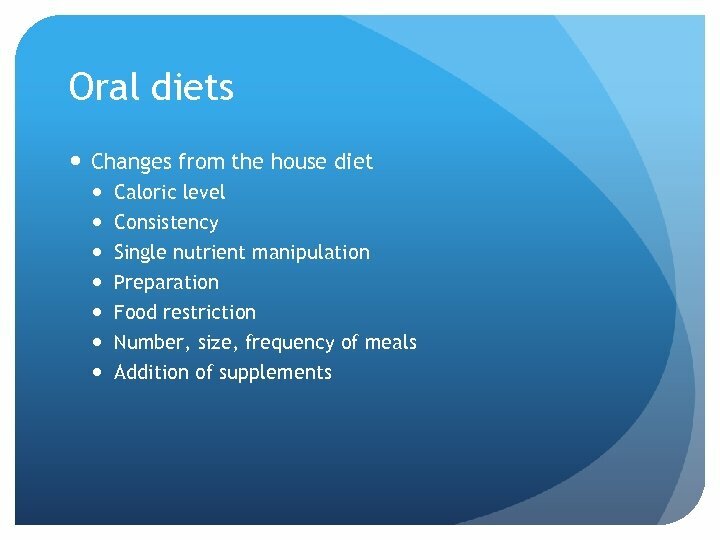 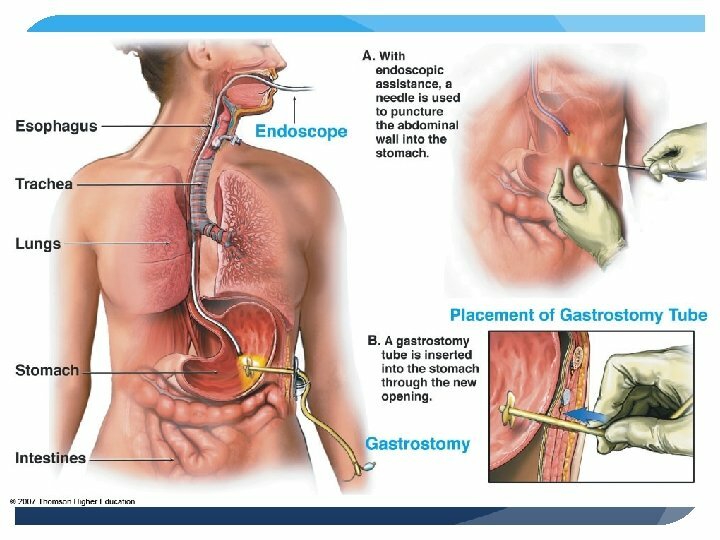 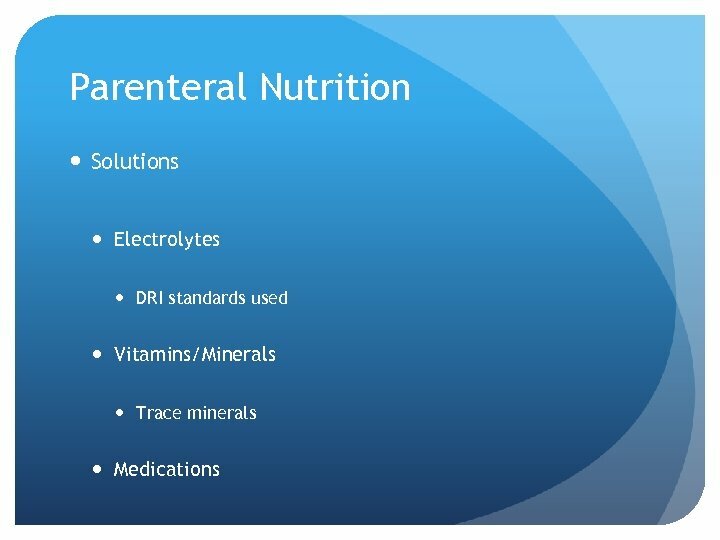 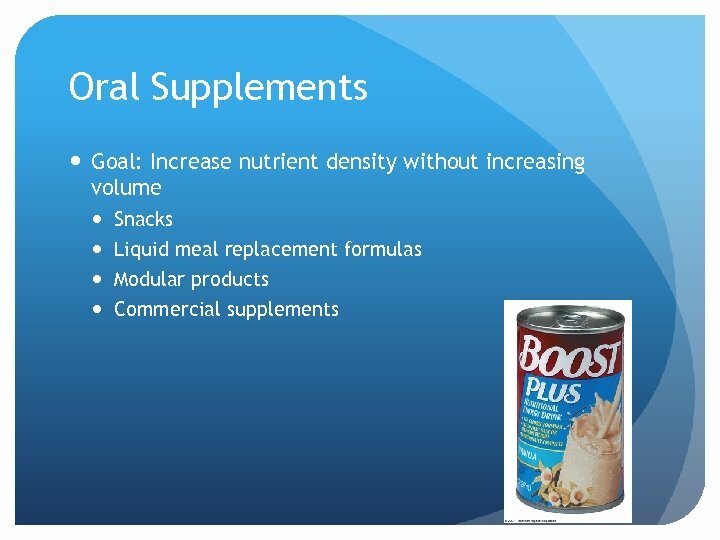 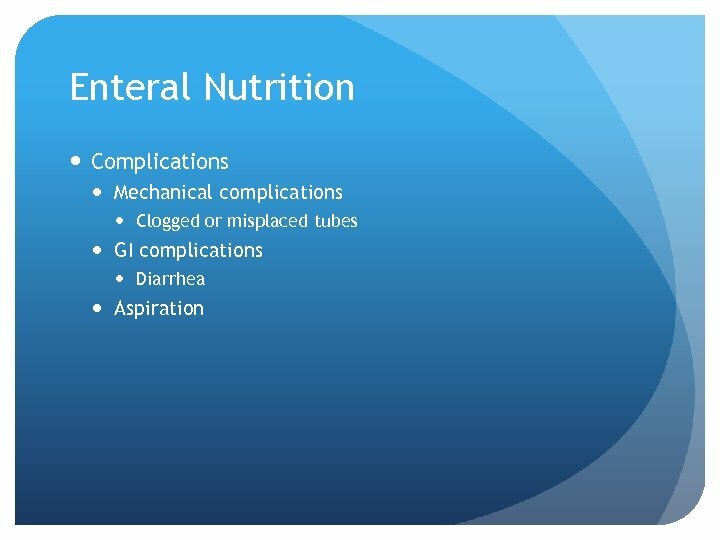 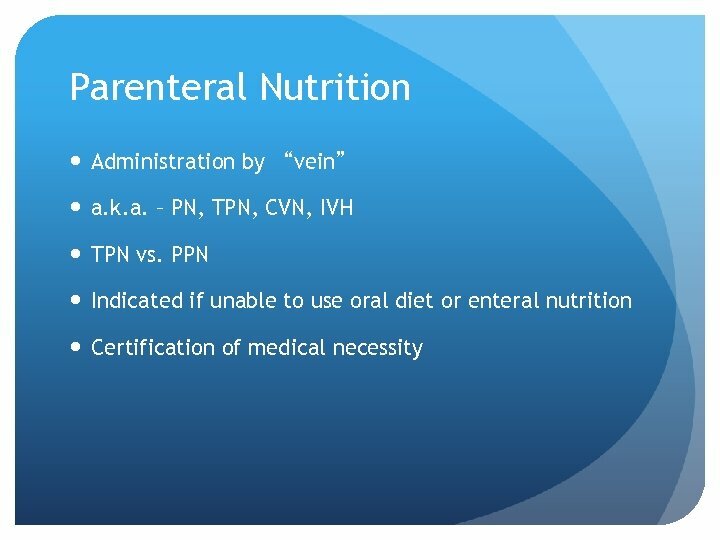 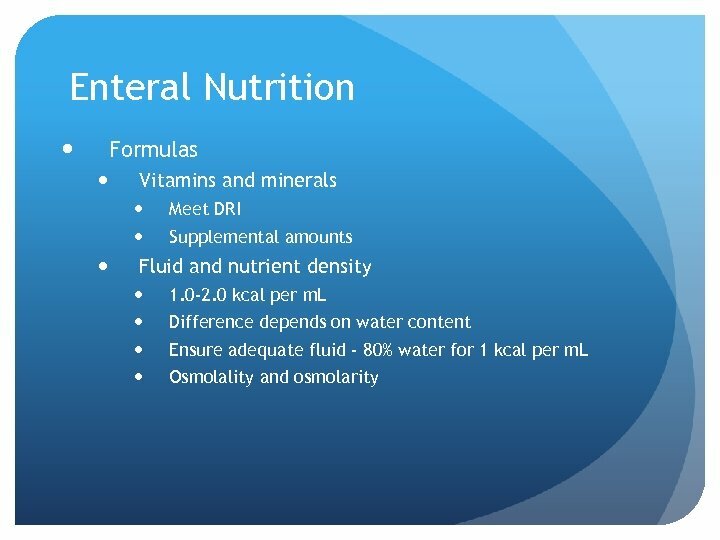 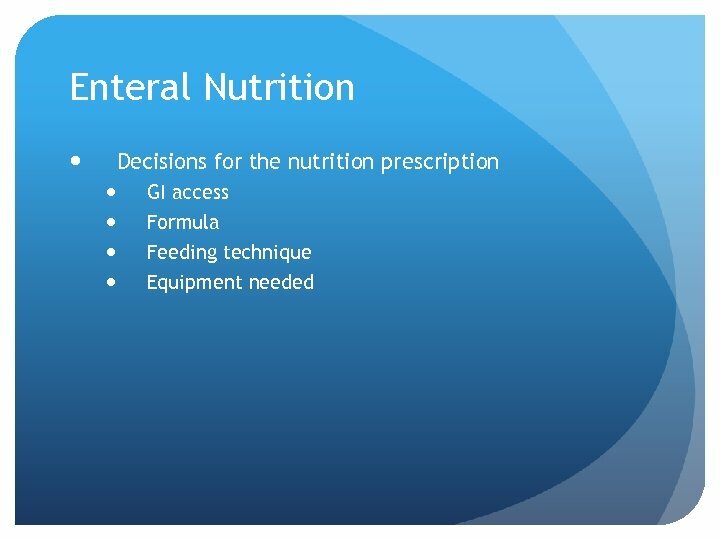 Enteral Nutrition GI Access • Access route described by where it enters the body and where the tip is located Nasogastric Orogastric Nasointestinal Typically used for short term Disadvantages? 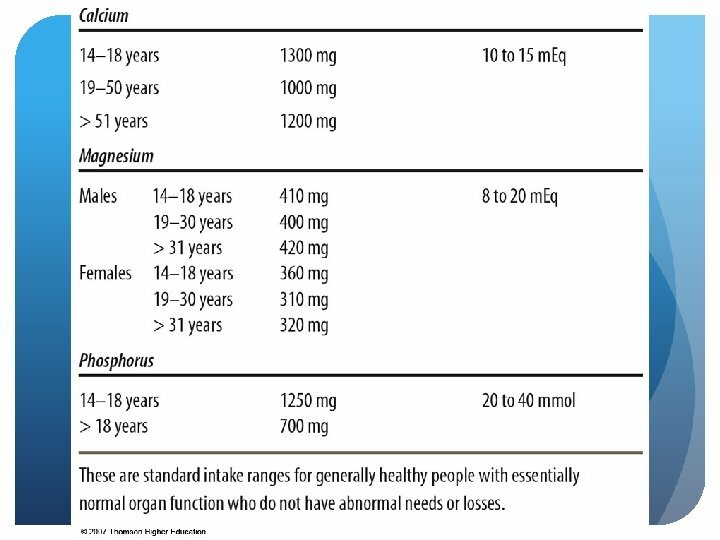 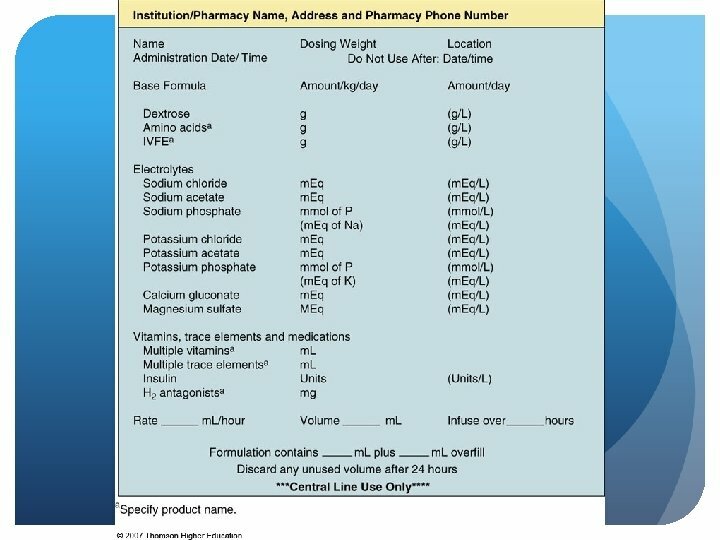 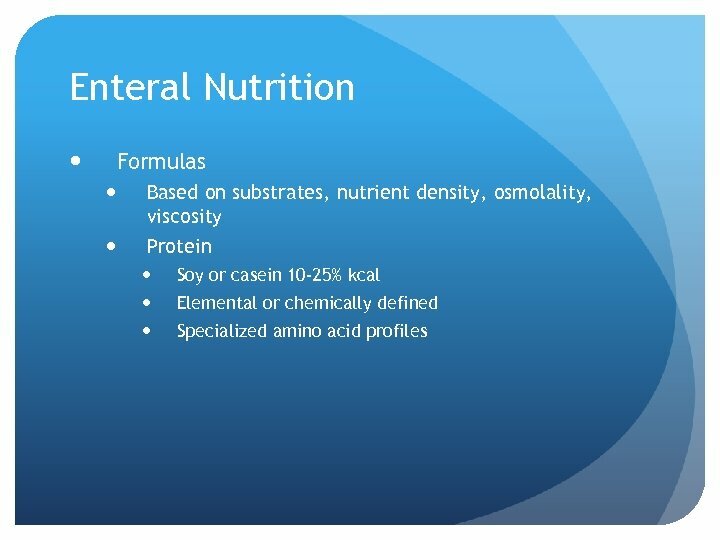 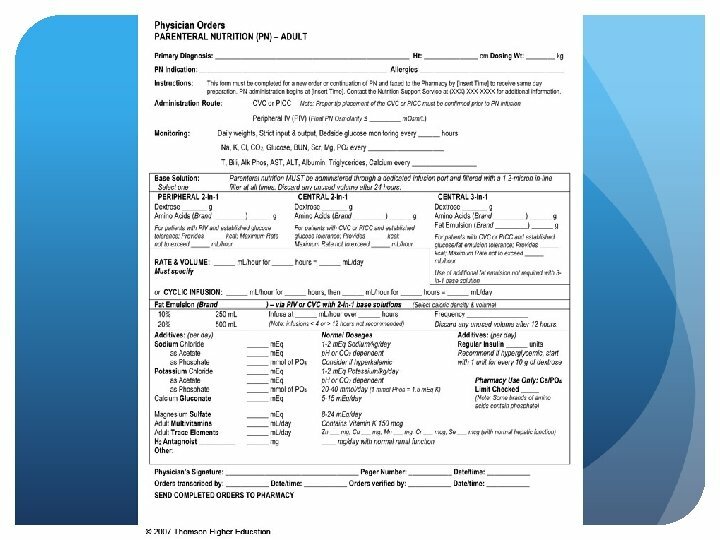 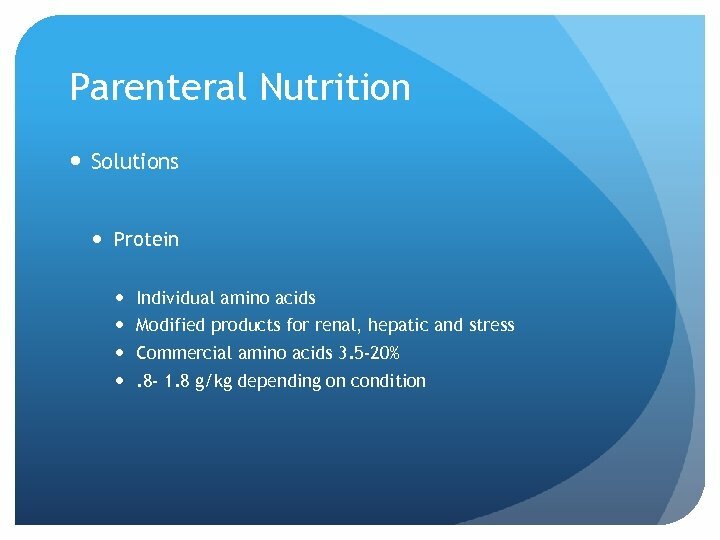 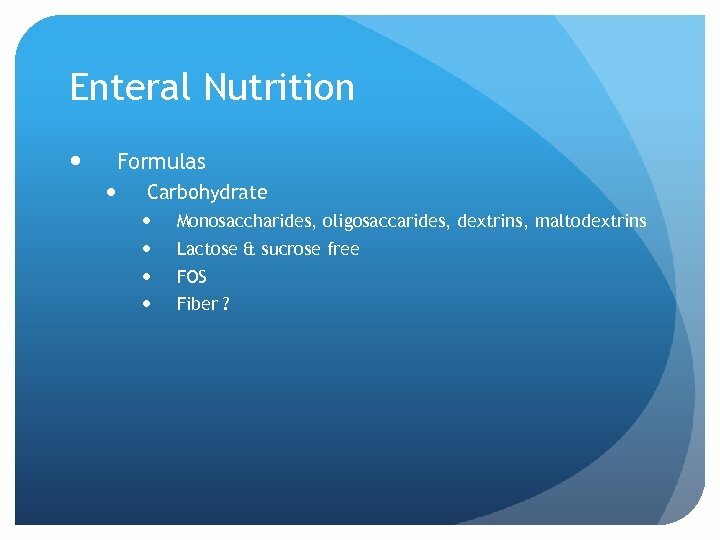 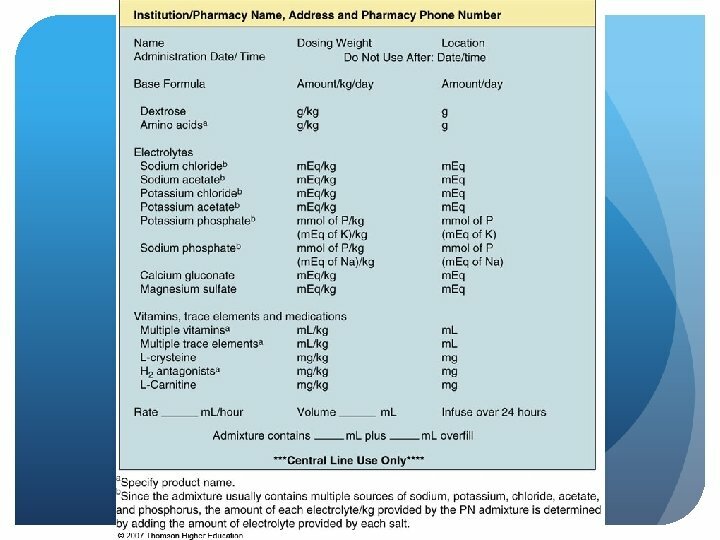 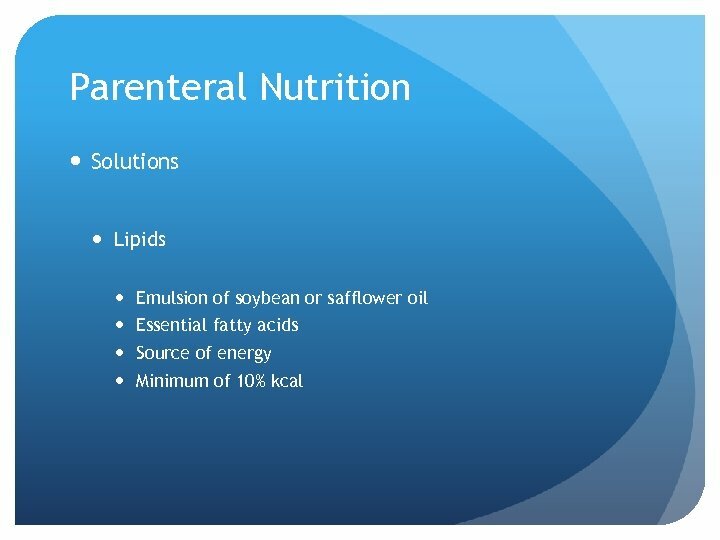 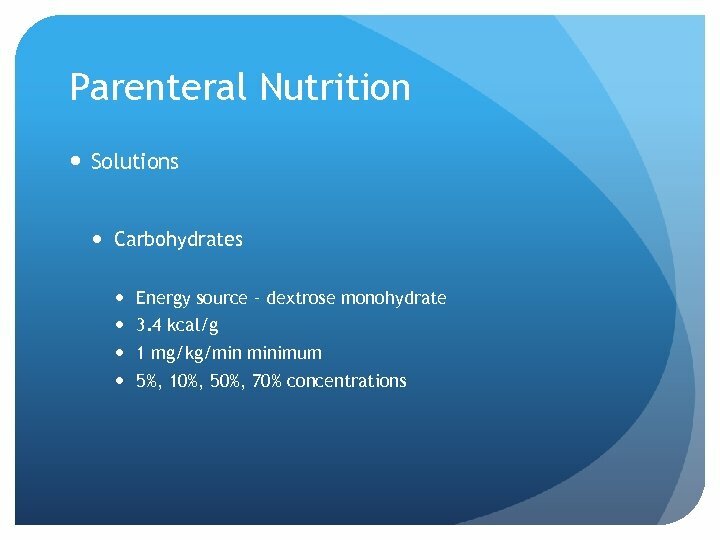 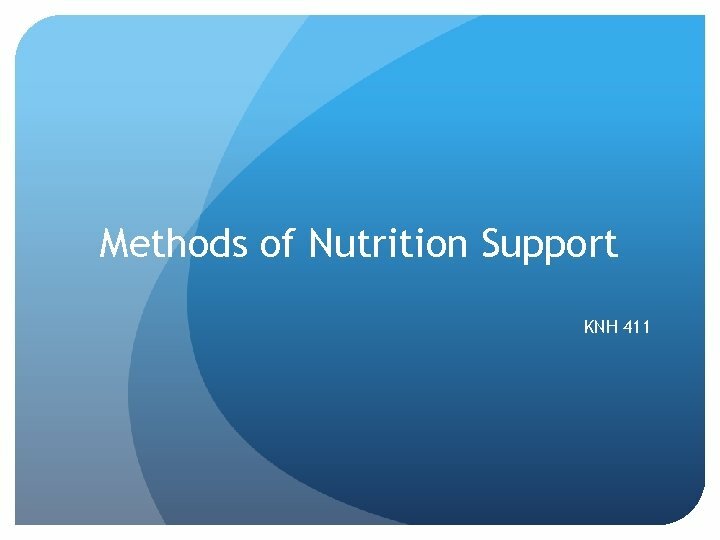 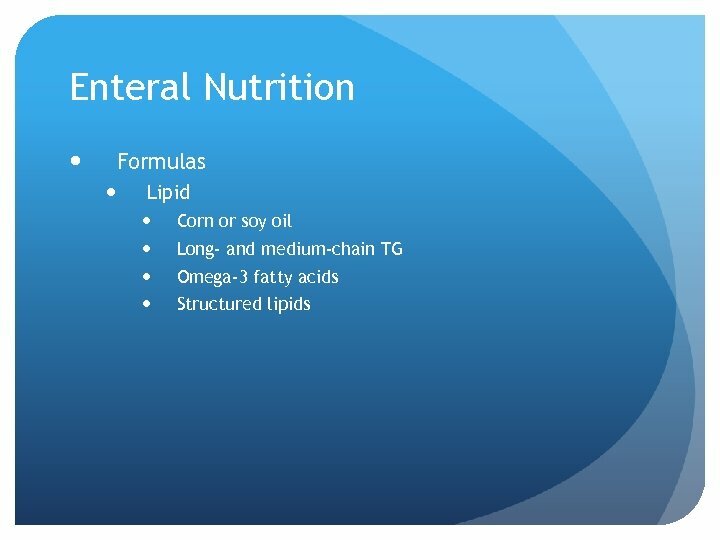 Enteral Nutrition Formulas Carbohydrate Monosaccharides, oligosaccarides, dextrins, maltodextrins Lactose & sucrose free FOS Fiber ?